Originally formed as an informal quintet, "Tutti" gathers primarily as a recreational music activity for Paul and Diane Hedges, Jon Winsett, and Yvonne and Norm. A series of strokes and other medical problems forced Jon to withdraw, but the quartet continues to play as opportunities present themselves and schedules allow. 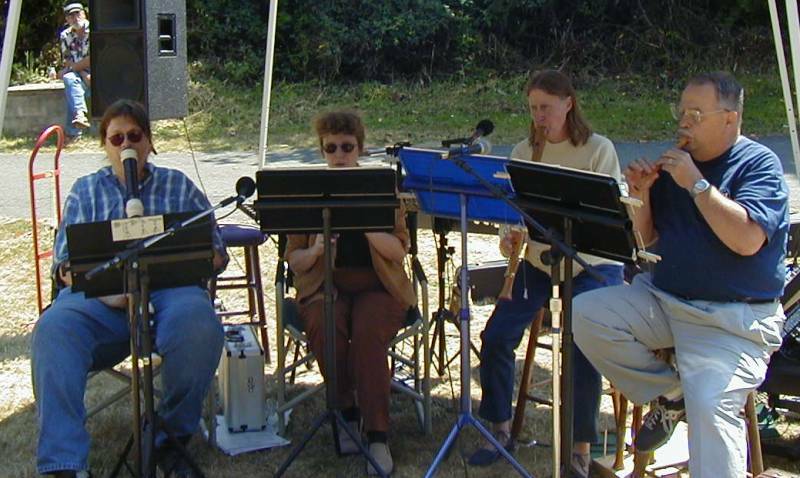 This photo was taken as "Tutti" performed for a Friends of the [Gold Beach, OR] Library fund-raising picnic on August 21, 2005, in Gold Beach's Buffington Memorial Park.